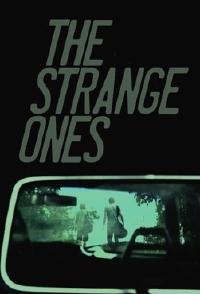 One of the movies out of SXSW which has intrigued me the most is The Strange Ones. The full length adaptation of writer/director Christopher Radcliff and Lauren Wolkstein's short film of the same name, the full length adaptation expands on the central idea of their short: a man and a boy traveling to an unnamed place with trouble following them wherever they go. The feature stars James Freedson-Jackson, one of the boys who made his debut with Cop Car a few years ago, and Alex Pettyfer of Magic Mike fame taking on a decidedly different role. This time around the Nick and Sam are brothers, or posing as brothers, on a road trip where things are constantly going wrong for people and places they come into contact with. If the trailer is any indication of what can be expected from The Strange Ones, Radcliff and Wolkstein's feature is a slow-burn, quiet thriller where nothing is quite what it seems. Freedson-Jackson is a young talent and though Pettyfer has had a few spotlight moments, he's yet to meet the quality of his work with Soderbergh though this looks like it could well be in the ballpark. The Strange Ones will be available exclusively on DirectTV December 7 with a theatrical release to follow on January 5, 2018.